Gavi is a white wine appellation in the Piedmont region of Italy. Gavi is made 100% from Cortese grapes and is sometimes called Cortese di Gavi. 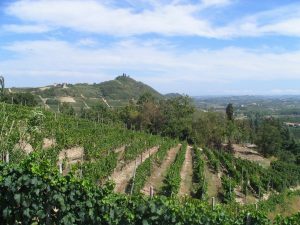 It is named after the commune of Gavi in the center of the appellation, and wines from the commune itself can be labeled Gavi di Gavi. The Gavi appellation was given DOC status in 1975, and DOCG – the top of the Italian pyramid – in 1998. It is often considered the Piedmont’s premier white wine. 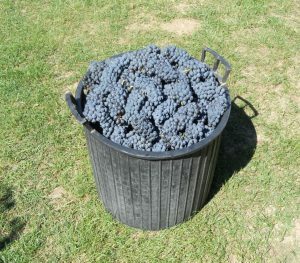 Merlot is a famous red grape with fresh, ripe fruit flavors. Quite popular in the 20th Century, merlot’s reputation in America had a setback when the 2004 film Sideways portrayed a wine connoisseur who constantly denigrated the varietal. (We’d like to note that the Miles character’s prized 1961 Chateau Cheval Blanc is a Cab-Merlot blend, so the joke is really on him). Many fine merlots are being made from France, California, and around the world. Click through as we explore this underrated red. 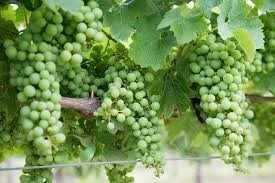 Chardonnay is the best known and most widely planted white grape in the world. You may be most familiar with big, buttery Chardonnay from California. 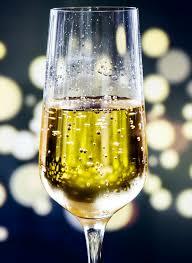 But “Chard” comes in many styles including steely Chablis and sparkling Blanc de Blancs from Champagne. Flavors can range from crisp apple to juicy peach, or in the hottest climates tropical fruits like mango. 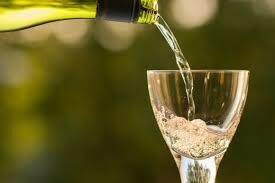 Chardonnay is also vinified in many styles from light and crisp to heavy and creamy. Click through to learn more about this world famous white! 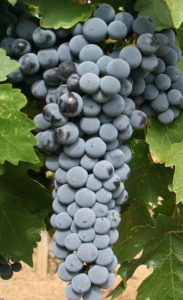 Cabernet Sauvignon may be the most famous grape varietal in the world. Cabernet wines usually have flavors of blackcurrant and white pepper. But “Cab” is so popular because it loves to bring on more flavors from ageing, oak barrels, and terroir (that famous French word for soil and environmental factors that are unique to a place). You may know it from Bordeaux blends or big reds from Napa and Sonoma, or from many other places around the world. Cabernet is a versatile grape that’s grown on every continent except Antarctica! Read on to discover more about this beloved grape.